The last two pages of Series Director Tetsuya Nomura's interview with Famitsu revealed a few new details about the connection between Kingdom Hearts 3 and Unchained X. – Concerning the story, with KHχ that precedes it, the scenario in KH Unchained χ will be easier to catch up? Nomura: Yes, it’s because I think proceeding through KHχ’s story is time consuming to catch up. – So we will be enjoying the story in how KH Unchained χ relates to KHIII. Nomura: That’s right. Leading to KHIII, it’s the most ancient story in the series, and Sora and gang wouldn’t be in these worlds… it will take a look on what has happened a long time ago. New keywords will appear for KHIII if you play KH χ or KH Unchained χ, it will make you think “oh?”. In addition, we thought about gimmicks that would be “good to play”. - In relations to the keywords, there is likely a whole bunch of them that ties in KHIII. Players collect medals to attach to their Keyblade to deal deathly attacks to Heartless! - Again? 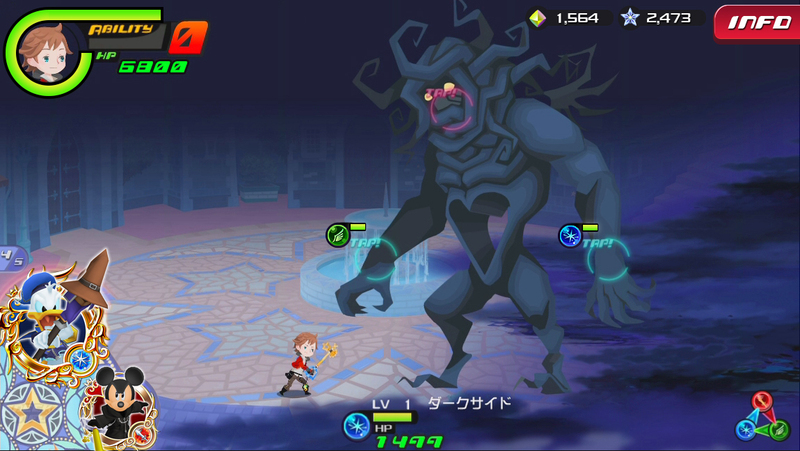 Earlier you told us about “going back between the two worlds” and how are KHχ and KH Unchained χ different? Nomura: I guess so (laughs). Soon, there will be a hint for the next story scheduled for KHχ. Because I am able to enhance the execution of the story in KHχ, it will be possible to look forward to future story progressions. It should be noted that in the story of KH Unchained χ, which will be essentially the same as KHχ, there are tricks to enjoying both of these two works. - For the future of the story, would you be able to tell us a little more? Nomura: The scenario heads towards depicting the beginning of the 'Keyblade War' that occurred. However, as there are Keyblade Wielders in the World later on, they must not all have been destroyed in the Keyblade War. That is the basis of this story. Fight massive Heartless and get rewards for your team! - Since it has been stated there would be a Keyblade War, it would have scenarios dedicated to it? Nomura: The outline is. KH χ and KH Unchained χ tell the story of how everything began. Why was Xehanort so obsessed with Kingdom Hearts? You should be able to glimpse the reason for that during these two titles. - That is an eventful (laughs). In addition, I think there is progression between the Book of Prophecies and the foretellers. Nomura: The Foretellers are the equivalent to those known as Keyblade Masters in the future of this universe, and from hereon out they will start to make their own individual moves. Also, thanks to a character named Ephemera who appeared in the new scenario in KH χ, players should have some doubts about the Foretellers and the Unions. From there we will chase the mysteries of the Foretellers and the Book of Prophecies, and draw closer to the Keyblade War. However, players are trying to avoid war breaking out, so please keep an eye on what happens with that. Collect new costumes to customise your avatar! - So this means, I have no choice but to play to prepare for KHIII! Nomura: If you do know, then you will enjoy the world of KH all the more, make no mistake. However, you don't have to know everything. The protagonist himself, Sora, doesn't know everything. That said, I'd be happiest if you did play it (laughs). If you do give it a try, I think you'll be surprised at what a rich experience you get for free. Additional Information: The Book of Prophecies talks about the triumph of darkness. Five foretellers were given a passage that says, “The light has been extinguished by the war of this land. The world is covered in eternal darkness.” It describes that the victory of darkness has been determined. In order to prevent it, many Keyblade wielders were made to collect the light. In the series, it is possible to reproduce the future of the world by the Book of Prophecies. It is told to obtain people and power from the future. In KHχ, Ephemera discussed that the Book of Prophecies caused faraway worlds to be reproduced within the vicinity. This explains the emergence of Disney characters whose presence came from the future. Keep in mind that in Re:coded, it was revealed that Maleficent knew about the Book of Prophecies and thus her story arc in Kingdom Hearts 3 will likely be about finding the book, which makes this information all the more interesting in how future updates will tie in with Kingdom Hearts 3!. Just the part where he says "Sora doesn't know everything", will just make things more interesting for future titles I believe. I think it's more the case that, as we get to see more than Sora, we know more about why things are. Sora only knows what he's been told. This interview makes me feel like Nomura is setting up something big for Maleficent. Like, as in she's going to be a real threat in KH3. Can this truly be?! Man, it better be. No more weird KH2 castle hunting with Pete shenanigans. I swear, Maleficent's plot in KH2 was essentially just hunting for castles and then making comments about how she would decorate the interior. Luckily, this sounds like she (finally) has a plan again. The wording of some of these answers has me confused. χ and Unchained χ are the same game, right? Just one is the browser game in Japan and the other is a smartphone port? Kinda like how coded is a pre-installed app only on that one model of Japanese phone, but Re:coded is a DS game? He's making it sound like Unchained χ has a different plot or is a sequel or something. Or maybe I'm just reading terribly right now. χ, which, I believe, makes the plot more approachable and easier to follow. I don't even know. He continuously speaks of the two as if they're both different and the same at the same time. It's crazy, and after 5 months of no KH news, I'm not ready to deal with this. Unchained is definitely a sleeker/quicker version of Chi... but he's definitely, maybe inadvertently but still, indicating the two titles are different in some meaningful way. Oh, okay. So, in terms of story, it's like the Recoded movie, where when you play the game it's all kinds of complicated and drawn out, but then the movie brings it all together nice and simple, despite being a damn LotR movie in length. And then Unchained χ will be like that, taking all the mumbo jumbo of the PC game, and simplifying it into a better explanation? And then in addition to that, they're adding new stuff and changing it for smartphone controls? Right? You know what, don't correct me if that's wrong. I'm just gonna go with that until we get some iron-clad clarification. Why was Xehanort so obsessed with Kingdom Hearts? You should be able to glimpse the reason for that during these two titles. So we will see how Xehanort got the obsession of the Keyblade War/Kingdom Hearts, if I read this correctly? Or we will see the events that he will later grow an obsession on? It will be fascinating to see the Foretellers starting to act with their own agendas. I wonder what sort of goals they possess? There must be people who wan to stop the war for happening, but what if there are those who want to see it happening? Maybe we will see the actually catastrophe that destroyed the entire universe. I would also like to see the life of the survivors after the war. Keyblade wielders must not have been popular after that. All this X news are so refreshing after the long dry season without news. Damn Nomura, you are way too cryptic! That awkward moment when you misspell "Between" as "Betweet". On the other hand, that good moment when no one noticed. Oh yeah, that's another interesting thing about Unchained Chi. Learning about why specifically Master Xehanort is obsessed with KH. Up until now, we've assumed it's because he wants the power within to remake the universe as he sees fit (an assumption that is based on a lot of evidence and the Reports, mind you) but we've never actually been told conclusively what Xehanort plans to do with Kingdom Hearts, nor what Kingdom Hearts actually is. Should be fun to find out. Holy heck. If we see the war in X, there is slight possibility we might see a glimpse of the real KH. Or maybe they save it for KH3? okay so call me dumb but I just need this confirms....KH χ ~ KH Unchained χ correct? meaning I don't have to continue to worry about not having played KH χ once this gets localized? We still don't know what new things they are going to do for Unchained's story but the main stuff should be the same. Since they mention Unchained X is a way for X players to relive the story. The new things may even just be the presentation, seeing from how the characters seemed like sprites in the screenshot. So we'll see when the game is released. I've become really suspicious of the things game developers say after the monstrosity called Tales of Zestiria. Sry for off-topic but this got me curious: I have lived in the dark, so this is the firs time I have heard about this controversy.What game and developer are you talking about? Tales of Zestiria from Bandai Namco. When the game was announced, they showed off a female character that the main character meets and she was an extremely important part of early promotion for the game. 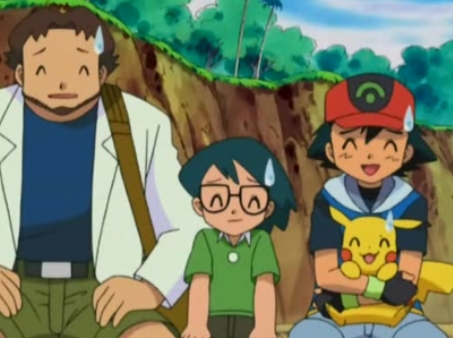 There is even an anime about their meeting and the main character's decision to leave his hometown. As more promotional media came out, the less this female character was shown. Even so, the company was promoting a figure for her and it was whatever. When the game released, she is in the game for maybe 10 hours before she leaves the party. All of her DLC costumes are then equippable by another female character who joins the party later on and has similar super-powered abilities like the main character which kind of bumps her to a high character status but people started disliking her on the purpose she is not the other female character . The former character's weapons are still purchasable from stores in the game but no other character can wield them. There is also an image of her fighting an enemy in promotional screenshots. She isn't even in that specific fight in the actual game. Not too long after the release of the game, DLC story content is released for the MIA female character and it pissed people off so much that Bamco made it free for awhile. The producer then has to do an interview about the mess in which he just says "we didn't mean to mislead anybody, but we had our reasons for not saying she'd vanish from the game and hey we did say there was no traditional heroine for this game"
Okay. No more Zestiria! I ain't even mad. Let us rejoice in the words of Nomura and know he's never do something like this. Holy heck. That dosen`t sound nice at all. :( But yeah, I won`t ask more about this matter. I agree with you regarding to Nomura. While his character design, method of story telling, the whole FFXIII: Versus thing and etc... could be seen negatively, Nomura hasn´t done anything at a scope similar to the situation you describe above. I am glad that he is the Director of this series. Haha I have been at the frontlines of this war since the beginning. The first few introduction trailers of a particular game features 2 characters, a male and a female and their names are at the top of the credits list. As the release date comes closer, both of them have increasingly appeared on magazine covers, shop posters, internet banners, etc. Even announcing a 1/8 figurine for both of them a month before the game's release date, which I have bought. The first press premiums of this game includes their keychain and this female character's in-game special attack. And they have their own limited DLC costumes. What role do you think these 2 characters will have in this game? So now the game is released. 5-8 hours in, this playable female character left the party. No death, no injury, nothing. She just left and is never mentioned by any of the other characters till 30-40 hours later when she showed up and left again 20 minutes later for good. In between this time, she only showed up once during a side quest. All of her costumes are transferred to another character as well. A week after the release, the developers announced a DLC side story episode that features this female character which costs 1/4 of the game's price. Ignore all the plot reasons for why this female character has left. Just looking at this marketing done for this game as an outsider, what is your opinion? The backlash of the fanbase is one of the biggest riots Japan's gamers have caused. Thousands of 0.5-1 star rating on Amazon. Second-hand price has dropped by 80% because everyone is selling their copies and no one wants it. Hate mails, complaints to the developers. Petition to sue the developers for false advertising. And their response? "It's your fault for assuming that she is the heroine, we never said that once.". And later on, "It's a plot twist we are trying to hide from our trailers since the trailers for past games seem to spoil players.". What is not fancy about Unchained X? Obviously, these keywords I presume will have to do with new elements to the story in general. This makes me think that something besides the conflict between the Seven Lights-Thirteen Darknesses and Maleficent searching for the Book of Prophecies is going to happen. What if the Sleeping World of Chi awakens and another Keyblade War rages? This makes me think that the Sixth Apprentice is one of those survivors. It makes sense that the Keyblade Master Xehanort wields is one of the oldest in existence, since the owner of said Keyblade is one of the survivors of the Keyblade War. Speaking of which: where could the other survivors be? What if the Sixth Apprentice subordinated the survivors and created an Union of his own? What if the Thirteen Darknesses are an Union? As it stands Unchained will be [chi] on rails. Perhaps the 6th was actually the hero in all that conflict and sealed the others away? What.....what if like the foretellers are aware chi is a sleeping world and are trying to rewake it and bring it and themselves back into the real world? I don't think the Foretellers survived the aftermath of the Keyblade War, but there is always a possibility. Xehanort's Keyblade is certainly that of the Sixth Apprentice that wasn't given a Book of Prophecy by the Grand Master. The Sixth Apprentice knows everything because he was there to witness it all, and most probably, survived the aftermath of the Keyblade War (and imbued his will/heart into Xehanort/the Keyblade). It's possible the Five Foretellers did what you suggest, but I think the scenario of the Sixth Apprentice is more plausible. We'll have to see how the story of Unchained Chi unfolds. For all we know, the Sixth Apprentice could have not even participated in the conflict and just looked for refuge. And we are only A MONTH AWAY FROM E3!!!!!!! And whole Effin Gaming Conventions in the way. Imagine a cake. A nice cake. Now, take said cake and shower it in mountains of icing and sprinkles and junk. Unchained X is the normal, simple cake without all the fluff. X is the whole shebang. This is pretty cool news. I've been in a bit of a lull here lately so I'm definitely excited for Unchained X.
basically Nomura is linking the future and the past without time travel shenanigans and giving maleficent a prominent role again, my body is ready. Oh boy so much material to work with. A part of me believes the fabled Book of Prophecies is somewhere in the Realm of Sleep. Question for Chi players, are the other players part of the story's canon or is your Avatar considered the sole "protagonist"? I'm. So. Excited. GAH! God bless you, SE. God bless you! Also, I feel like this interview really cleared some things up, and hinted at a lot. And I especially like that Nomura mentioned that you don't necessarily have to play this game (as even Sora doesn't know everything) for III, but if you do you'll have a richer experience in it. Makes me feel a bit more hopeful for the casuals, that not everything in III will be influenced by this title (though I, personally, wouldn't mind that at all... Well, as long as everything else also gets sufficiently covered in III, that is). I'll miss the cards somewhat, though:/ But whatev. Edit: I just realized that if we're right about the Rebirth theory, then that means we're eventually going to see the equivalent of Ven killing Riku, and things like that. Gah! I don't know if I'm ready for this now! I don't know if I can handle all that! KH's version of the Red Wedding indeed! The game is aware that there are other players besides yourself and you even meet a few of them in a mission, but besides yourself and Ephemera, it's more or less just assumed they're all off doing their own things that don't particularly have much impact on you. So now, which guild do I pick? I am actually kind of torn, I can't tell if some represent light, darkness, unicorns,, am I helping the cause or hurting it? Does it make a difference what I do or is it all just for the vain cause of me getting collectibles? Do I just pick the group that looks the coolest? I am confused. All of the factions are "fighting for the light" by gathering Lux but like it is often said, they have their own motivations and reasons behind it and so we don't know if they are really fighting for a noble cause or if there is more to it. If you want to play with a bunch of KHI users though, we will likely have one faction people flock to (with chi it was Vulpes but that might change). I'm trying to figure out, is this game free? I'd really like to be able to play it but obviously I don't have much money .-. Free with In-App Purchases. You don't need to pay for anything, though. People have been playing through chi without paying a dime and still get the full benefits of the game just by being really good at playing. Yep. Free to play except for microtransactions. There are two types of "other players" in this game. The first is the NPC keyblade wielders who you get to interact. They went on missions given by their Chirithy to collect lux just like us. The second is the human players. Our player character is the one meeting Ephemera and is in the midst of investigating our Foreteller's actions. Nomura said that we will be the one trying to prevent the war, while the NPC players obliviously carry out their own missions. However the main question is: Is there only 1 player character or all our player characters are involved? We are all playing from our point of view, so there may be contradictions. The only one so far is the union Ephemera belongs to is dependent on your own union, though of course he may be lying. Just pick the one you like. Neither will give you an advantage over the other. At the beginning of the game, it will entice you with a free medal if you pick a particular union. There's no purpose in this, just a randomized pick for you in case you can't decide. The medal would be slightly advantageous in the beginning, but in the long run it is absolute crap. So just pick your favorite animal. @kazr10 bears, foxes and unicorns, oh my. Bah there are too many foxes on this site. Those who are planning to play the Japanese version may want to choose leopards or unicorns if they want to go for the stronger unions. Those 2 are the strongest in Chi right now with tons of premium players in them, and Chi players are more likely to choose their old union if they are playing the smartphone version. Well, thank you for that bit of information! I might either join one of the more stronger Unions, or just become stronger during one of the less stronger ones, hehe. Just you wait and see---it'll probably find a way to make MX an even bigger Villain Sue. So I read the article and everything, but can someone tell me the difference between the two? Will I need to play X to get Unchained? Or is Unchained just a reboot of X? You do not need X to Unchained - those who have X and transfer just get bonuses. Unchained is essentially a reboot/"remake" of sorts adapted for smartphones. Same story, different style of gameplay. I was thinking more along the lines of Joshuas words. He's trying to revive the TWEWY gang in the realm of sleep but says he's doing so by gathering whats left. Rikus like "it can't be that simple" but Joshua was all "Well why not?". I'd say the realm is a way to cheat death. If they died...we dont know what happened to them right? To be honest it's because of the predictability of the 6th being bad that I like the alternative better. It'd actually be a plot twist (for once) if the 6th and their master was disposed of the 5 gone bad. I admittedly haven't kept up with anything so I'm not sure what's been said on Chi and all I know about the Xehanort keyblade ordeal is what Coded (1.5) mentioned. The Keyblade War all has to do with the warriors fighting over the possession of light. And I feel like the developers want Chi to last as long as it, as any developer would want. And Right now, this saga (or at least the end of it) in particular is mainly focused on Xehanort and his ties to his keyblade which belonged to the mysterious 6th foreteller. So... what if the next saga focuses on a villain that's tied to one of the other foretellers as well and they keep that theme going? Each saga focuses on a villain that has ties to one of the foretellers. The personalities can vary between characters, they don't all have to have the personality of curious old baldy McNosehair. I think that'd be very interesting direction to go and could expand a little more on the universe itself. Then again, that can easily be pretty lame if done wrong and probably bad fan fiction on my part lol. And god knows I don't want to do any kind of time traveling or body swapping crap again. B,ut hey, I don't think like Nomura (I don't think any of us do. ), so he no doubt has something different in mind for the future of the series. Maybe wayyy different from any fan theory (though, I might be giving him too much credit). It would certainly be interesting direction and would probably help X's longevity after KH3 is released, if they chose to continue it afterwards. But they're also focusing on the Book of Prophecies which I feel is something that's only exclusive to the current saga but that all depends on how KH3 plays out. Just thinking about it makes me more excited for the possible secret movie (unless they pull a Marvel and not do that, which I doubt but who knows really) But regardless, I kind of do have a strong feeling they planned to at least have X end or maybe concluded in some kind of way before (maybe after) KH3 but I don't think that's confirmed at all. We shall wait and see. With regards to Chi's longevity. Eventually the story will conclude. What will be left are the missions and events they have been giving us since day 1. Non-stop weekly events where players participate to earn rewards. At this point, Chi will just be an online game like so many others out there. The only KH-related stuff that will be added are the cards. And if there is ever a chance there are story related stuff, it will most probably only occur during the anniversary event. In other words, Chi's longevity from this point on will fully depend on its profitability. As for the story, it is up to Nomura on how long he wants to drag them. They only just promised us monthly story updates (after 1.8 yrs...), but they can always make the new story missions very short. We do have some of them in the past before, quite a lot in fact. Chi is a "players grow with the game" type of game. They will slowly add new stuff to provide you attack bonuses in the beginning, while increasing the enemies' difficulty. Making the toughest one defeatable only by paying to have more turns or stronger medals. Now 6 months down the road, a year, 2 years. This inflation of players and enemies' strength will just keep going and going. So it eventually will become extremely difficult for new players to join as they will need A LOT of devotion doing mindless grinding to have a slightly easier time to handle the enemies. This is a major problem with X now as the only new players that last are those with the patience to do at least 4 months worth of grinding, or pay more than $1000. Makes sense to me. Using Chi as a way of putting in future story elements that can tie in to later games would be neat and it being during an anniversary makes sense, though getting story elements by complete surprise would be a pretty awesome thing to happen every now and again. But, again, depends on its profitability. But I have heard that Square has been pretty successful with their mobile products so I guess we shouldn't worried about that. Though to be honest, I doubt gamers in the west (at least most gamers in the west) aren't really interested in playing a mobile phone game and just want to get straight to KH3, which probably isn't for another year or two. Possibly three.... three. Three. Gosh dang it all. If it ends up being three years, you know what'll do? I go to Costco, buy wooden chair, travel to Nomura's home by first class (somehow), and while he sleeps, I'll rock my chair back and forth in the dark shadows whispering, "Kingdom Hearts.... Kingdom Hearts. Tell me Nomura... what comes after one...? Two. I like the number two. But... what comes after two? ...Threeeeeeeeeeeeeeee!!!" It'll haunt his very dreams and when he wakes up, I'll vanish without a trace. And It'll continue for the next three years until KH3 is released. Makes sense to me. Using Chi as a way of putting in future story elements that can tie in to later games would be neat and it being during an anniversary makes sense, though getting though things by complete surprise would be a pretty awesome thing to happen every now and again. But, again, depends on its profitability. But I have heard that Square has been pretty successful with their mobile products so I guess we shouldn't worried about that. Though to be honest, I doubt gamers in the west (at least most gamers in the west) aren't really interested in playing a mobile phone game and just want to get straight to KH3, which probably isn't for another year or two. Possibly three.... three. Three. Gosh dang it all. US$100 for a card, two every month...though they've dropped the price to around $80 now, even I'm impressed on how people are still buying. So you have to be either very skilled and patient or somewhat wealthy to get by in the game? And if, say, people adopt the game 6 months-1 year down the road, the difficulty curve will be significantly higher? Woah. O_o That's a lot of munny to be spending. So yeah lol, I guess Chi doesn't have much to worry about. It'll be ok in the long run. Which brings the random question, which Kingdom Hearts titled sold more? My main guess would be the first one since its the one everyone outside of the fanbase is the most familiar with. Kingdom hearts, with kingdom hearts II close behind. I would also assume the remembrance of the original is more due to longtime fans having fonder memories/being more nostalgic of it. Suprisingly though, a lot of people first and favorite game was KH2 and people have a lot nostalgia for that. More then I actually realized. + Whether or not he is alive, we do not know. But I think he is alive, either living through the will of his Keyblade, or he transferred his heart to Xehanort's. I noticed it as soon as Joshua pointed out. In the main TWEWY series it's basically the gist of their reapers game but if the same can happen in this series then what's to stop the other foretellers and the chi world from returning? Sign I don't know who you are, but you are freaking great, your hilarious! But back on topic, I think Nomura needs to take a break from Kingdom Hearts for a bit, his speech is starting to sound like something from the game. I was like wth is he talking about, he's making Chi sound like a totally different game than unchained. And the sad part is this is the only game I haven't played, I come on here for the news and seriously I was like wtf, great I knew I should have played this game. The way he is making it sound is literally like Chi the game decided to join the darkness, lost it's heart, and created a nobody game called unchained X. It took me a few times to read it over, but I think I understand the jist of it. Wow Nomura is the personification of the riddler lmao. Anyways this game sounds really important, in my opinion I am ok with putting important games on different systems, but I draw the line with making an important game on a phone. I just think that it's not the smartest of moves, especially in the West. This darn thing better get remade of a remake lmao on the 3ds or HD collection or something. If not please someone put on youtube, I might get it on the phone though I am not sure about that though. Wow Nomura is the personification of the riddler lmao. This has been Nomura since pretty much forever. Anyways this game sounds really important, in my opinion I am ok with putting important games on different systems, but I draw the line with making an important game on a phone. I just think that it's not the smartest of moves, especially in the West. Smartphones are the most easily accessible device on this planet due to just how many people own them. I can understand personal instances where people might not have one, but the number of people who own one dwarf how many people own a single current generation console and that is why this decision was made to make it a phone title. Westerners might not play social games like people in Asian countries, but they are heavily reliant on their cellphones and a huge majority of average people do play games on their phones more than they do on dedicated consoles made for gaming. This is probably the smartest decision business-wise, something most cannot see due to already being deeply rooted within gaming culture who may not perceive mobile gaming as a viable area (which I personally do not think it is but not because of it being a phone but because developers/publishers fail to follow up with their games and so the life of their games tend to be very short due to not enough people buying into them or the devs/pubs not updating them to work on devices). Nomura has already stated you do not need to play chi to know this information. If anything, this information will probably make itself known somehow in KH3 during the story, but the incentive to play is there because it connects to KH3. I might get it on the phone though I am not sure about that though. It's free. You might as well download it and try it since it comes at no cost to you. As a social game it is not meant to be played for hours on end, either. At best you play thirty minutes to an hour max of time throughout the day. The idea behind social games is that you don't play them in one sitting but in multiple ones in between what you are doing. Waiting between appointments or classes, during a lunch break, on a transit ride to somewhere, or a brief time before bed. Okay. 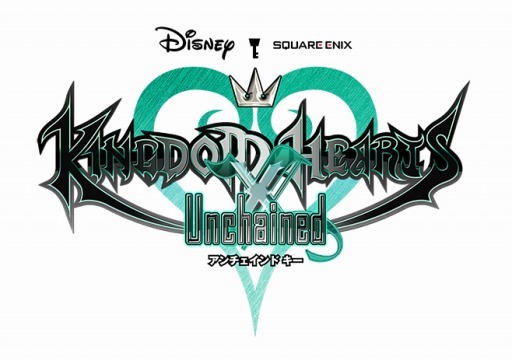 Essentially, Kingdom Hearts χ[chi] and KH Unchained χ[chi] are the same game. Their prime difference is that, one is for playing on your PC's browser (χ[chi]), and the other was built for smartphones (Unleashed χ[chi]). Both games play with the same plot, but Unleashed χ[chi] will have its differences with PC χ[chi] (essentially new story details that are "keywords" that will be used in Kingdom Hearts III). Just, does anyone know if it'll let me use my browser character? or will I have to start over? They're working so that everyone can transfer their PC Chi character into Unchained Chi when its released. And, would they be kept separate? or like, if I did one thing on the mobile version, the progress would appear on browser as well? That's a good question. I think that's a possibility, since both games are supposed to complement each other. Will it be the full character, though? The interview just says "Avatar," so that may just mean the costumes. It would be fantastic if the full profile can be translated into Unchained, but that sort of depends on the differences in mechanics. Also, I'm wondering if us cross-region players will be able to port our profiles over at all. I'm not sure that's what he meant. He says "you don't have to know everything," since even Sora doesn't know everything. But if you do play Unchained χ[chi], you will "enjoy the world of KH all the more." So it seems like a similar case to the Reports and Ultimania interviews. They aren't necessary to enjoy the story (of KHIII, in this case), but will provide insight and worldbuilding to corroborate with the story. Of course, there's not much reason not to play it, since the game's free. I can't wait to learn more about Ephemera and his Dream Eater. I'd like to see him outside of Unchained/Chi. Another good question. 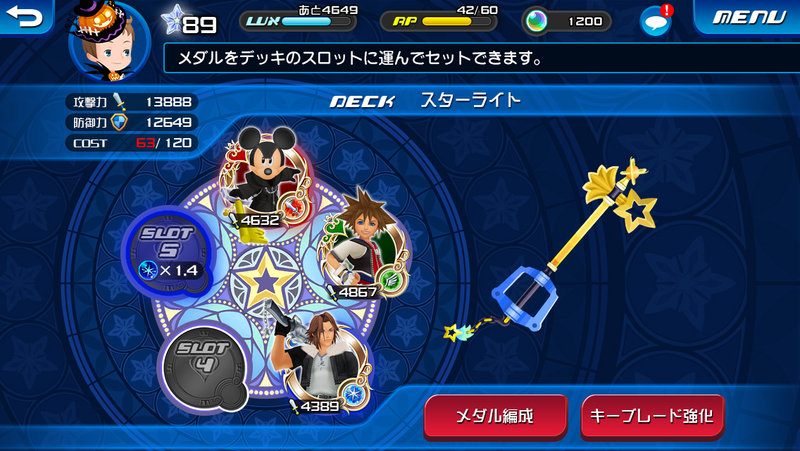 I can see Japanese players successfully transferring their avatars into Kingdom Hearts Unchained χ[chi], but what about non-Japanese natives? He means that you have the option of experiencing KH Unchained χ[chi] and getting a head start knowledge into what will transpire in KHIII. But if you choose to not play it, you'll be like Sora: ignorant to what's happening, but will get to know everything once KH3 releases. Yes, I know this. Thus my first statement "Nomura says we don't need to play chi to know this information." But I'm saying, as my own educated guess upon what we know about this series and how information tends to be revealed, is that we will likely see anything relevant from chi in KH3 regardless so it doesn't matter if you play. It's gonna get explained at some point. I think Xehanort would play more of a spectator. [SPOILER=Xchi spoilers]But what if Xehanort is actually the Unknown? What if he's having the Foretellers collect Lux in order to do something? ^ That's what I was getting at. For all we know Xehanort found the sleeping world in his youth explaining his knowledge on things he shouldn't know. It also why I made the random idea of his keyblade being their scheme to return to the real world. If Joshua can use the realm to revive Neku & Co. then I doubt it's beyond trollnorts power. I can't remember: how was Joshua gonna revive everyone? According to him he basically gathered "what was left" of the TWEWY gang after they died in their own world an brought it to the realm of sleep. He needed a shelter, Traverse Town appeared and form there the TWEWY started their game. In TWEWY the game is a type of thing for recently dead people. Long mythos short if you win you can be revived. That's basically what DDD was running with. What lets us know the TWEWY are playing the game is the timers on their hands and their mention of "reapers". But given Xehanorts troll record so far I just dont put it past him. Ahh... I see, I see. So Master Xehanort could try to do the same thing, but... how did Xehanort end up discovering the Realm of Dreams? Could it be knowledge imparted to Keyblade Masters? Did he ask Eraqus? Their Master? Yen Sid? Its very possible that Masters are disclosed information about the Realms. Aqua had a quick briefing so we don't know, but it should be noted that Aqua was more than a Master. According to the DDD Glossary, she and Eraqus are Successors which are tasked with protecting LoD, so I guess that information is more important. Accessing the Realm of Sleep is tricky if you don't know about it, he was probably given that info. Yen Sid knew of the realm so I highly doubt other masters wouldn't. Isn't the differing factor of masters and wielders knowledge? Yeah, good point. So it's safe to assume that, Xehanort traveled to the dream version of the land of Chi and gained knowledge from there. At the very least that is a strong possibility imo. After all, Xehanort done went to the realm once in DDD. That means he already knew about it because of that whole memory loss-time travel thing would ensure he wouldn't remember it form young Xehanort. I'm convinced that what ties χ[chi] to Kingdom Hearts III is that Xehanort allowed Sora to unlock the Sleeping Keyholes in order to awaken Daybreak Town, so that he can use the five Unions to establish participants in his own Keyblade War. This would tie in fairly nicely as the "midgame" plot that gives Sora and co. some kind of struggle (since the endgame must be 7 vs 13) and would also let us have a new enemy type for III. But does awakening Worlds bring back Hearts from the Darkness, those taken by the Heartless included? Because I was under the impression that we only brought back the sleeping worlds, not the people lost. After all, the people we see are figments recreated by the sleeping world. Though I would say The Grid is an exception. No the only figments in a worlds dream are people missing from that world. Example. Jimney escaped his world therefore the world replicated him in it's dream. After all, the people we see are figments recreated by the sleeping world. Though I would say The Grid is an exception. The Grid was not a Sleeping World, so it is an exception. But not all people in the Sleeping Worlds were dreamed up. Only those who weren't in the world at the time it was consumed by darkness. Though, now that I think about it, the only qualifying characters for this in DDD are the ones in La Cité des Cloches. Nobody in Daybreak Town would have been taken by the Heartless, so all those still alive when Daybreak Town fell to darkness would be liable to return once it's awakened. I see but still, for a world to fall asleep it has to fall to Darkness, therefore lives will be lost or worse turned to Heartless. Which begs the question, how did Wakka and co. survive when DI fell? The islands you grew up on were sundered, scattered... Many hearts were lost to the darkness. Because of what YOU did!" When worlds fall to Darkness, any inhabitants still on it are suspended in time, so sayeth Nomura in interviews. In the people were still on the worlds when they were plunged into sleep then they probably are asleep in the suspended state of darkness. This should include the sleeping worlds as well. Oh I see. Can you do me the favor in directing me towards the interview(only remember a few of them). You need to remember that he said many not all. Many hearts were stolen by heartless. Many were thrown into the outside world ending up on places like Traverse Town, etc. Remember Yen Sid said some sleeping worlds are those lost to darkness that were restored but didn't wake form it. At the end of KH1 Sora restored every world lost to heartless and the inhabitants were taken back to them like Kairi. But many also never fully woke. Edit. Would it be possible Chi was sealed inside the realm of sleep? Instead of the destroyed whatever method of some KH1 worlds? I very rarely misremember something Nomura's said, so I'm more than happy to point you in the direction of anything else. I've been told that Nomura confirmed in an interview that there are other sleeping worlds outside the ones in 3D but I can't remember that one. Much appreciated, definitely going to study up on my KH. Although things introduced in KINGDOM HEARTS χ[chi] will be reintroduced and explained in KHIII, I recommend playing KH 3D Dream. Drop. Distance. again and refresh you mind on what new concepts KH3D DDD established and elaborated.